At almost 4, Nora likes so many different things! And often, I can tell she is attracted to work that helps her strengthen and practice hand motions. She enjoys painting, sewing, and coloring, for example. And one other way, is through a couple of fun balance games she has on her shelves. 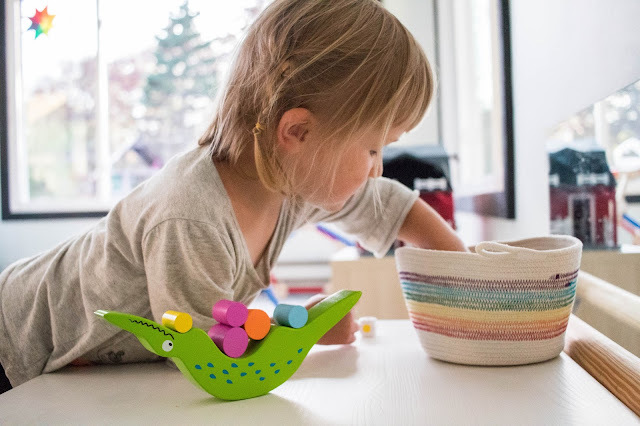 These games require that she is careful in using her hands to complete the task, or else everything tumbles over and she gets immediate feedback. She doesn't see it this way of course, she just thinks they are fun! Nora currently has two balancing games that work slightly differently. This game (featured in the pictures) is for placing items, and this game is for taking them away. Both use a dice to determine the color that needs to be placed or removed. The games have an element of suspense and control that I also think she finds really appealing. 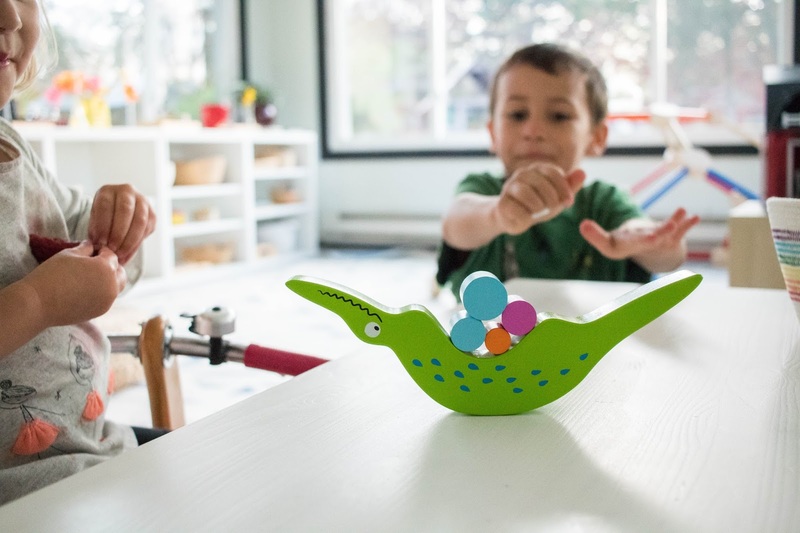 These balancing games are a fun and easy addition to Nora's play shelves! Hers happen to have the added color matching bonus which is fun but not exactly something she is still working on. But that could appeal to a younger child! They are also a great way for her and Henry to work and play together since these are games he still finds interesting but they aren't too difficult for her! 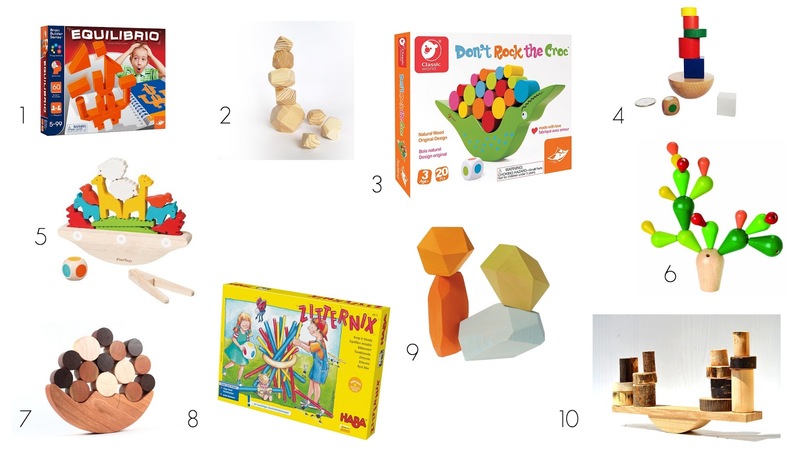 Do your children like balancing games? Do you have any of these or another suggestion that should be on this list?